Our racks are bursting with savings on the brand name labels you and your family are looking for. Come in and see the amazing selection of clothing and shoes. We've become known for our great finds and amazing prices on gently used or never worn, high-end, designer brand clothing. Follow us on our Facebook Page where we post some of the best finds that come into the store - but you'll have to move fast, call in to have us hold the item for you! Want an affordable alternative to department store merchandise? Look no further! 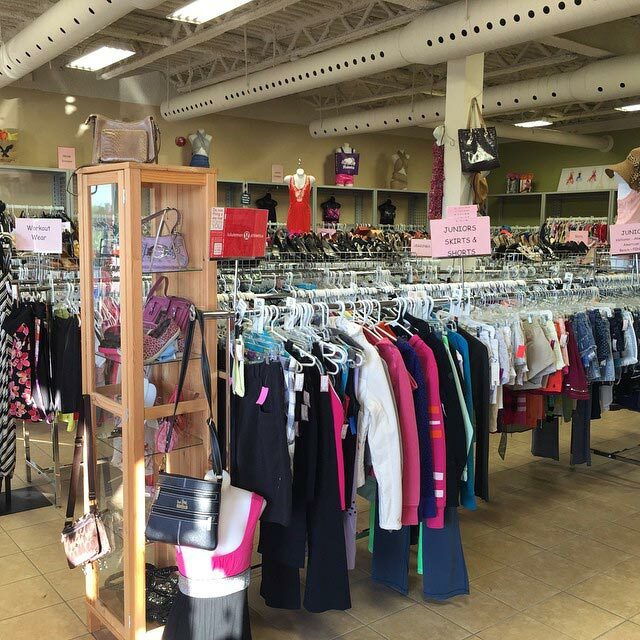 The fun and atmosphere of our consignment shop makes your money-saving shopping both stress-free and exciting, as you browse our amazing selection of resale treasures. Complete your look with beautiful accessories! In addition to clothing consignment, we also carry a wide variety of fashion/costume jewellery, silver jewellery, handbags, sunglasses, scarves and other accessories at fabulously low prices. And don't worry, we stock unique items so you won't look like everyone else. We always have something new to delight the eye, so come browse our resale shop today.